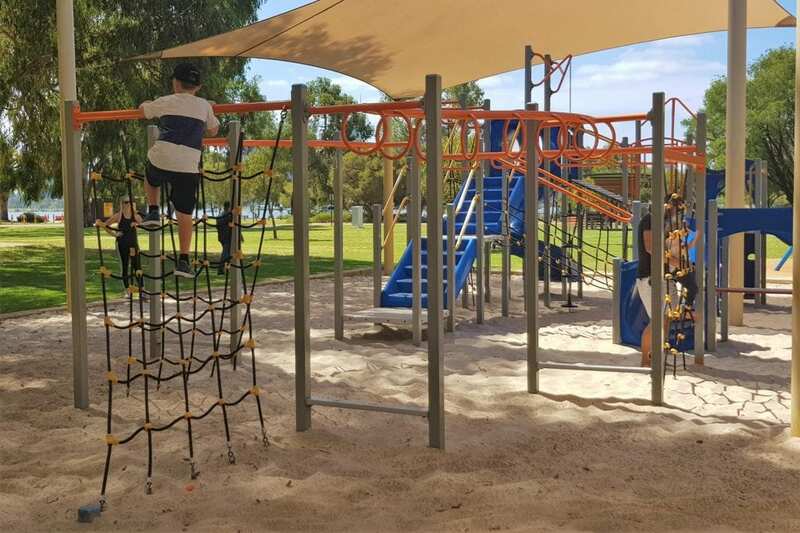 If you love a walk or ride along the Swan River like we do, be sure to add the Scented Gardens Playground on the South Perth foreshore to your list of places to stop. 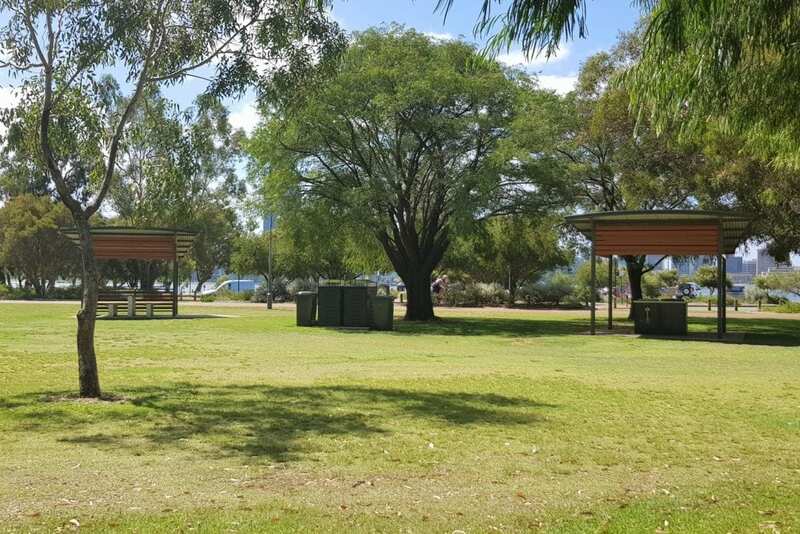 The Scented Gardens are found Sir James Mitchell Park, about half way between the Mends Street Jetty and Coode Street Jetty. 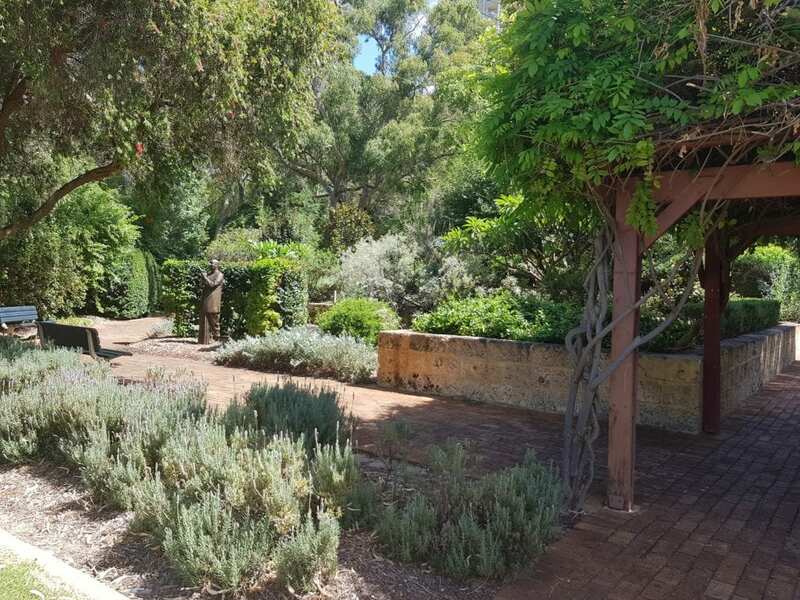 The manicured gardens themselves are a delight for the senses to walk around, featuring fragrant plants like lavender and rosemary – my guess is that kids will make a dash for the playground found right next to it! 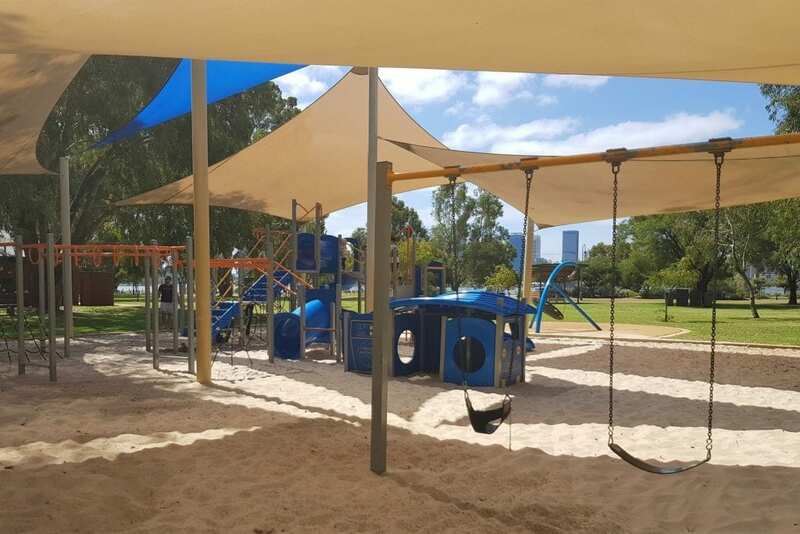 The large, shaded playground has equipment for kids of all ages. 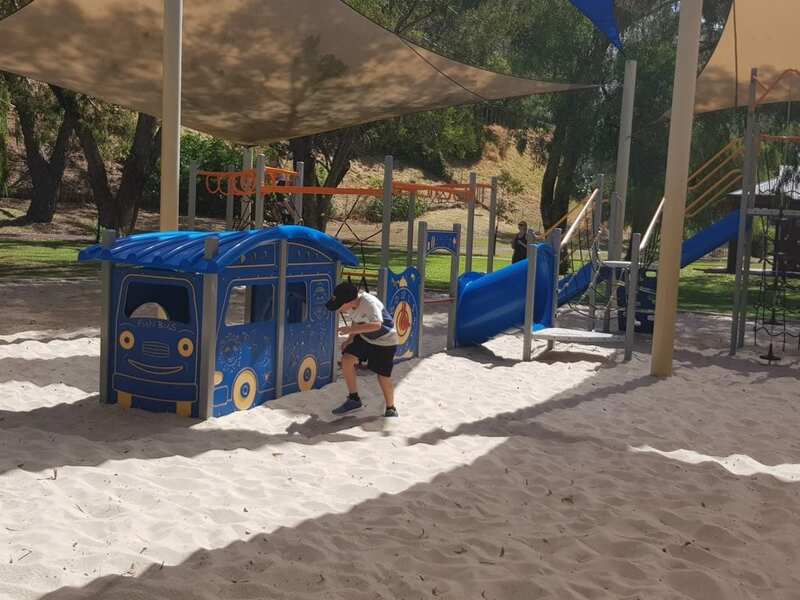 The play area is sand based. 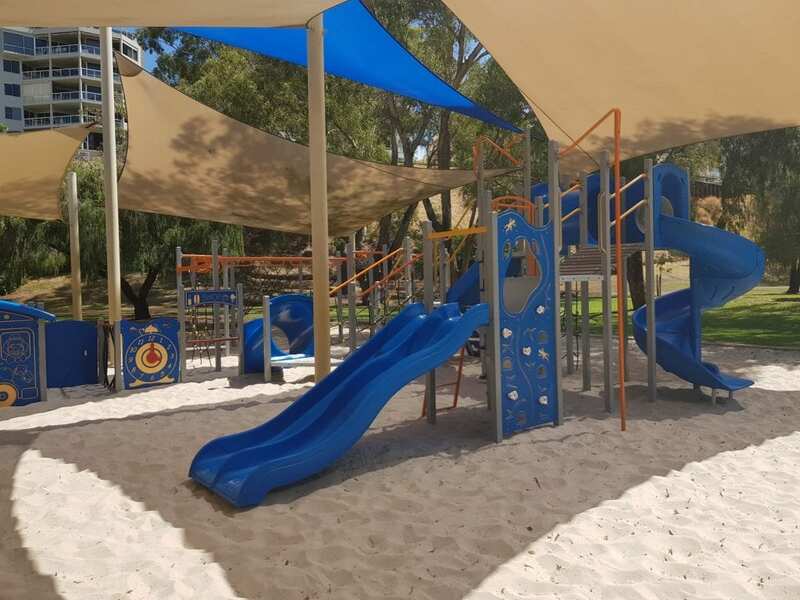 The main play structure has a fireman’s pole, tunnels, ladders, a rock climbing wall and two slides. Toddlers and pre-schoolers will love the little shop and bus for imaginative play. Kids will have a swinging time with traditional swing sets, swings for toddlers and a bird’s nest swing. Older kids will enjoy climbing the ropes. 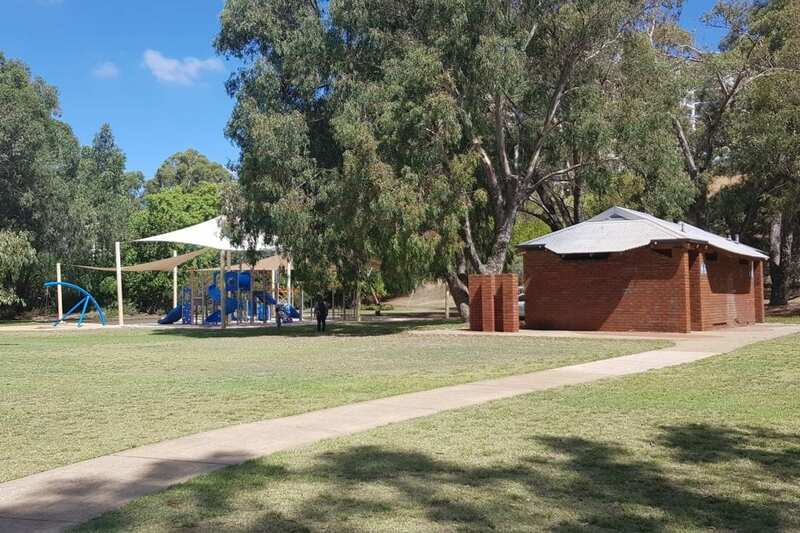 Public toilets are located immediately next to the play area – very handy if you’re toilet training! How about packing a picnic and take advantage of the BBQs and covered picnic tables around. There’s loads of grass to kick a ball too. 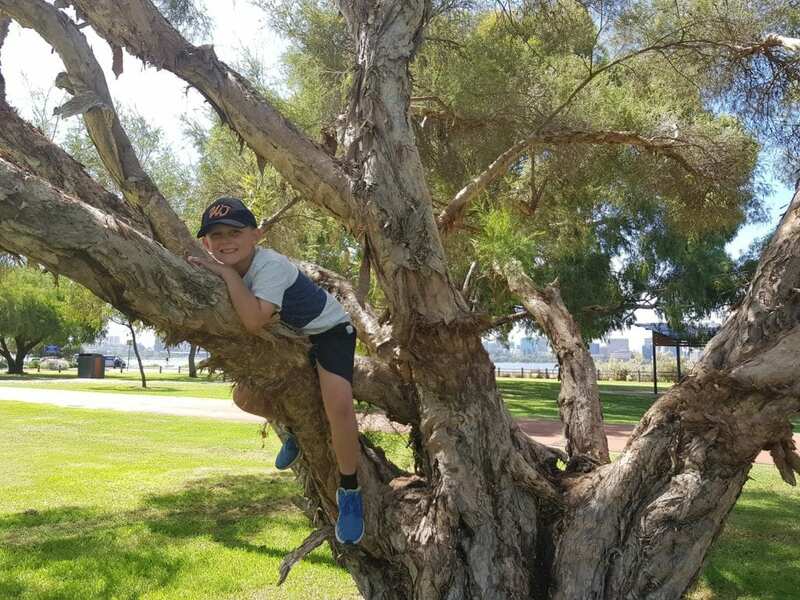 There’s also lots of trees to climb! 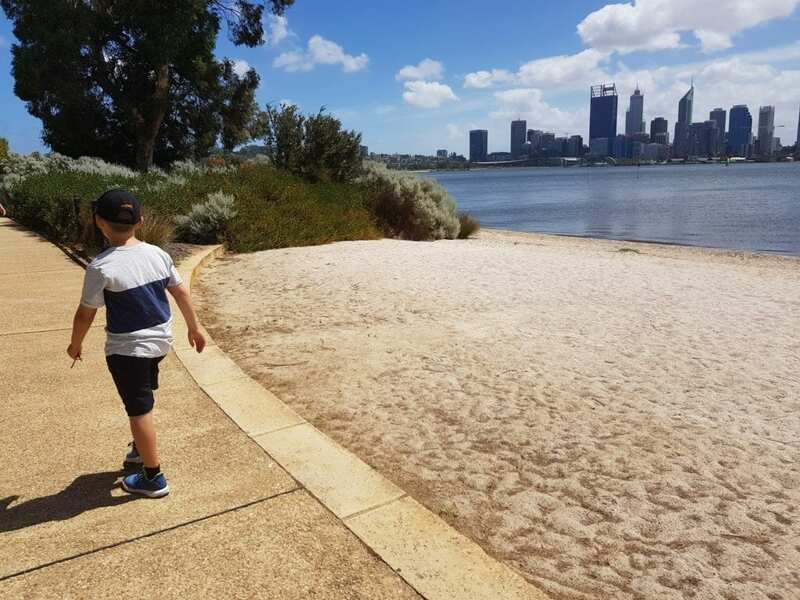 If you have extra time, why not take a walk or bike ride along the Swan River! 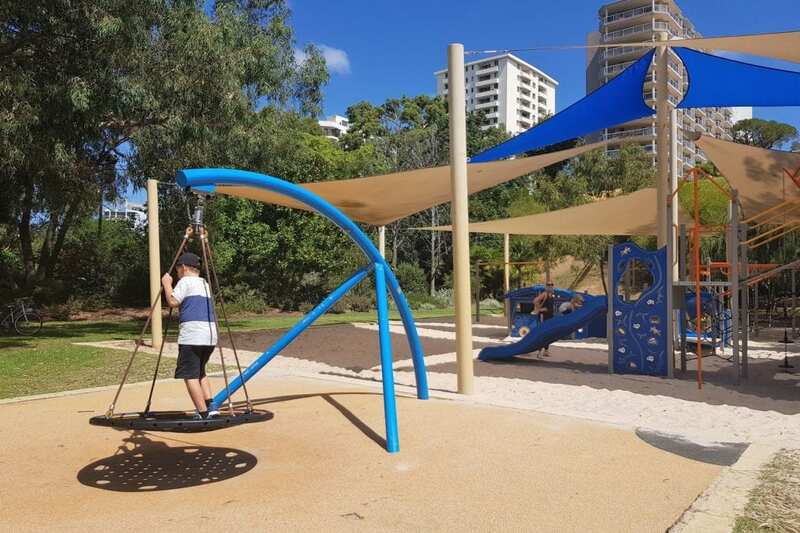 The Sir James Mitchell Carpark has paid parking close to the Scented Garden playground, my tip would be to park for free at Coode Street and to walk along the river to the playground, which will take around 10 minutes. There is also a great café there with fenced play area – The Boatshed café and restaurant. 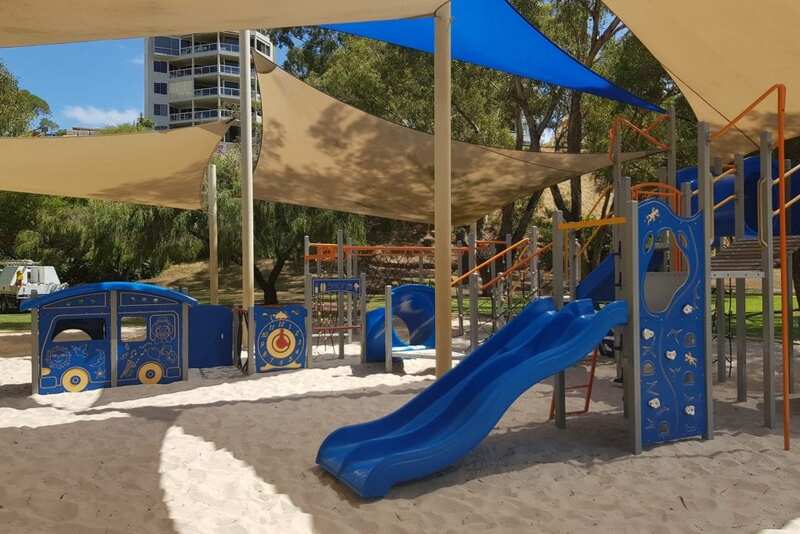 Find the Scented Gardens Playground, opposite the Sir James Mitchell carpark on South Perth Esplanade, South Perth.